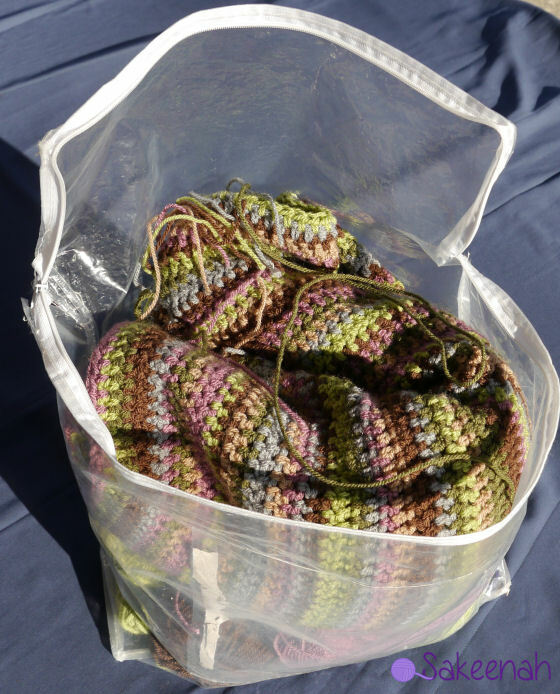 Here’s a quick tip that will help you organize your yarn stash and your knit or crochet works in progress: Save those wonderful heavy duty zippered bags linens, comforters and pillows come in. 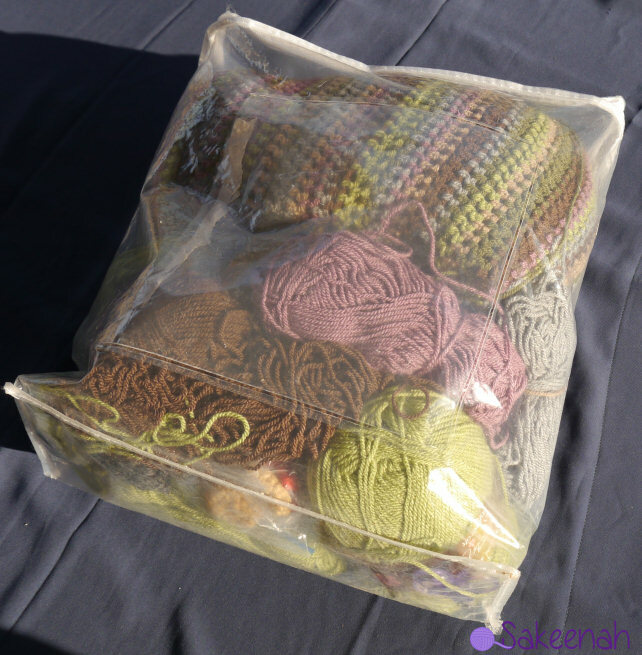 These bags are great for storing your yarn and make keep your bigger projects like making your own king size blanket portable for just a little while longer. When the best part of getting a new comforter or pillow is getting your hands on those zippered plastic bags they come in, you just might have a yarn problem. Now don’t go out and buy new stuff just to get these bags. Give your family and friends the heads up you are willing to take them off their hands and ask them to set them aside for you. Or you can ask on freecycle if anyone has any extras. The Hap Blanket Crochet Pattern is next on my project wishlist. I will be asking around for some more zippered bags to bring it around with me. Did you find this tip useful? You can use this image to pin, or repin here. Thank you for linking up to Feature Fridays Weekly Linky Party at Ummi’s House. Your blog posts has been selected for tomorrow’s feature, please visit starting at 7 am EST to check it out. I’m on board! These bags are my favorite. 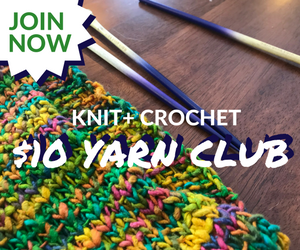 No worries about stuff getting on your yarn or sip while in the house or on the go.